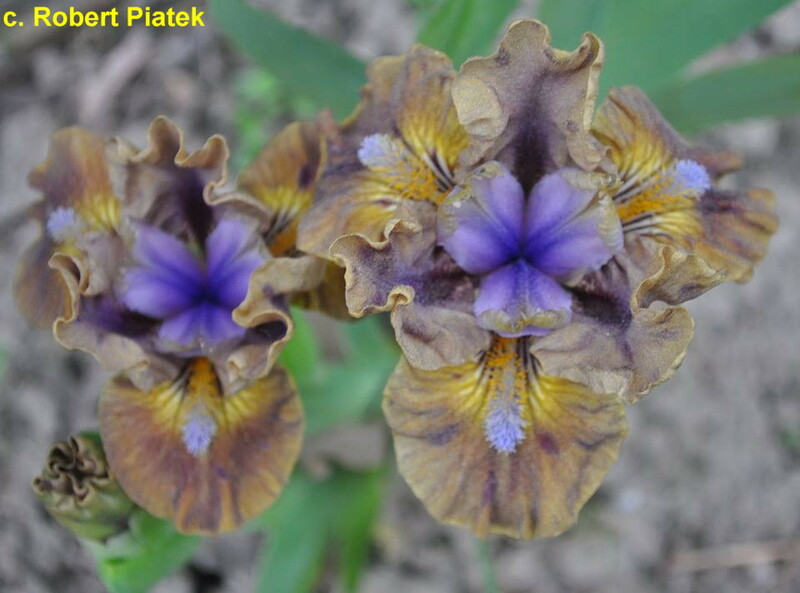 'Bushman' (Robert Piątek, R. 2015) Seedling 11-101-E-RP. SDB, 14" (36 cm), Late midseason bloom. Standards smoky grey-brown, midrib intense dark violet, open form; style arms grey-light violet; falls light violet and light brown mix, 1 mm light brown edge; beards yellow in throat and middle, lavender end; slight spicy fragrance. 'Zap' X unknown.